What is the Iditarod, and why do we Alaskans love it so? Also known worldwide as the Last Great Race... it’s the pinnacle race of mushing, the practice and/or sport of using dogs to pull a sled. The race is held each year in March for two reasons. It celebrates the competitive side of the sport- this year 66 teams participated from around the world. It also commemorates the bravery of the men and dogs who, in 1925, saved the people of Nome. And how they did that is quite an interesting story. It was January of 1925, and a diptheria epidemic was brewing in Nome, a small village located on the Bering Sea just below the Arctic Circle in Northwest Alaska. A major storm was also at hand, with fierce blizzards and extreme cold. 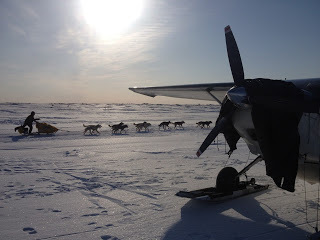 There was no other way transport the badly needed anti-toxin serum to the landlocked, icebound community, so 20 dog teams and their mushers relayed the serum across the Interior of Alaska to get it there. They traveled through indescribably harsh and dangerous conditions, including temps to -62F and wind chills of -85F. The endurance and life saving actions of the heroic men and their dogs in this true story race against death demonstrated a courage and fortitude of epic proportion. When a dog team is approaching, you may sense it before you see it. A presence gracefully nears, murmuring a song of quiet, rhythmic breathing. Beautiful animals completely in their element move as one in a dance over the snow. The musher may be quietly standing at the back of the team on the footboards of the sled, a relaxed, easy grip on the handlebar, or he/she may be running alongside the dogs to lighten the sled and urge them along. Musher and dogs are trail partners, bonded in a journey to conquer the beautiful, solitary (and often inhospitable) landscape and challenges rising up to meet them. Whenever a team is on the trail, the spirit of mushers past, present and future is with them. This writer thinks Alaskans love the Iditarod because it celebrates and honors the best of both dogs and humans. It symbolizes teamwork, strength, toughness, and sometimes heroism- all qualities that epitomize the frontier Alaskan spirit in general. There’s no place like Nome. Iditarod 2014 begins in Anchorage on March 1st and will end in Nome roughly 9-10 days later. We e hope we see you there! 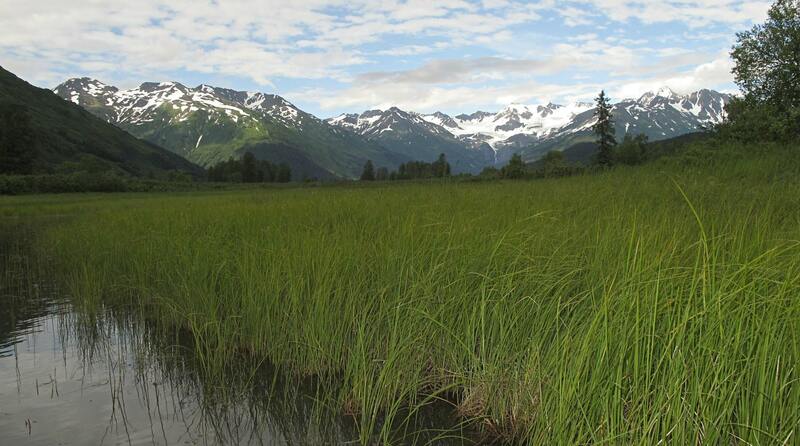 This blog was written by Marilyn Kasmar, the owner and innkeeper at the 11th Avenue Bed and Breakfast in downtown Anchorage. This entry was posted in Alaska Events, Anchorage Events, Winter and tagged Alaska Events, Anchorage Events, Winter by admin. Bookmark the permalink.